In today’s literary world, that kind of thinking is wrong. Readers today are inundated with choices and competition for their attention, and for their money. If you’re a new author today, taking your first steps into the publishing marketplace, you’re competing not only with thousands of already-established authors, many of whom have best-selling reputations, but also with word-of-mouth and Internet buzz about other new writers as well. How do you, as the new kid on the writing block, get noticed amidst the crowd? 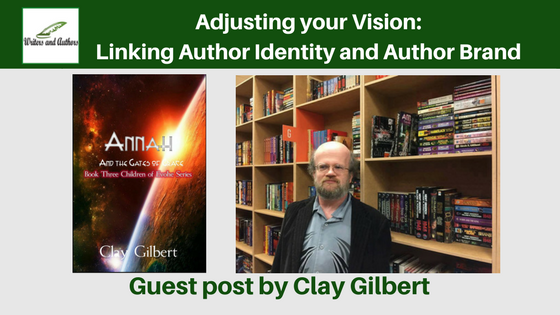 The answer ties back into my realization that readers want to connect with an author as much as they want to connect with the story that author is telling. And if an author can find a way to connect his or her individual narrative as a person with the narratives he or she puts down on paper, so much the better. 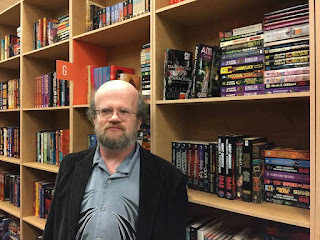 As my career as a novelist evolved, I began to look at the connecting thematic tissue between my life and the lives and challenges of the people in my stories. Annah, the young woman from a distant world who is the heroine of the Children of Evohe books, shares both my upbringing as an only child and the social situation I grew up with: she is a young person with both disabilities and ideas that many people in her community see as strange. Annah’s struggle for identity and her discovery of a special purpose for her life mirror my own adolescence and early adulthood, and it was, in many ways, my discovery of my abilities as a writer that allowed me to forge that identity for myself, in the same way Annah’s discovery of her particular gifts allows her to do the same. Annah’s human mate, Gary Holder, shares my own disability, having been born hydrocephalic. A number of other characters in the series have challenges of their own. Now, I’ve realized that nearly all of my stories draw on the experience of someone who comes at life from a perspective on the fringes, either because of worldview or disability or both. 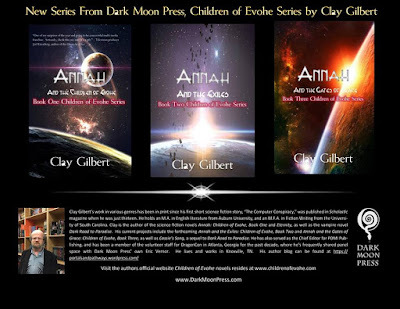 I’ve also used my own experiences and relationships in my life to inform and inspire my stories, but the ‘hook’ of overcoming challenges and disabilities—a very real and human struggle many people can relate to—against the fantastical background of other worlds or supernatural situations is what seems to make a story a ‘Clay Gilbert’ story. My stories are about forging understanding between people with differences, and achieving victory over personal obstacles and setbacks. It’s something genuine from my own life that blends well with my also-genuine love for genre fiction to make what I hope is a successful literary blend. It’s a pattern, but not a formula, because the people in my stories—forgive me if I don’t really like to call them ‘characters’—are distinct from one another. Annah is not the same girl as Cassie Edwards, the young woman who contracts the HIV virus from a blood transfusion in my novel Dark Road to Paradise, only to be offered a way out of certain death when she discovers the young English teacher, Martin Cabot, whom she’s been dating is in fact a vampire. And yet the outsider perspective remains, for both Martin and Cassie, and Martin’s vampiric nature is, in some ways, as much of a ‘disease of the blood’ as Cassie’s own condition. Find a way to tell your story through the lives of your characters, and also to reach out to your readers through blogs, interviews, and personal appearances. If you can make your stories personal to the people who read them, they’ll feel connected to you—and that will separate you from every other name on every other book they might pick up.